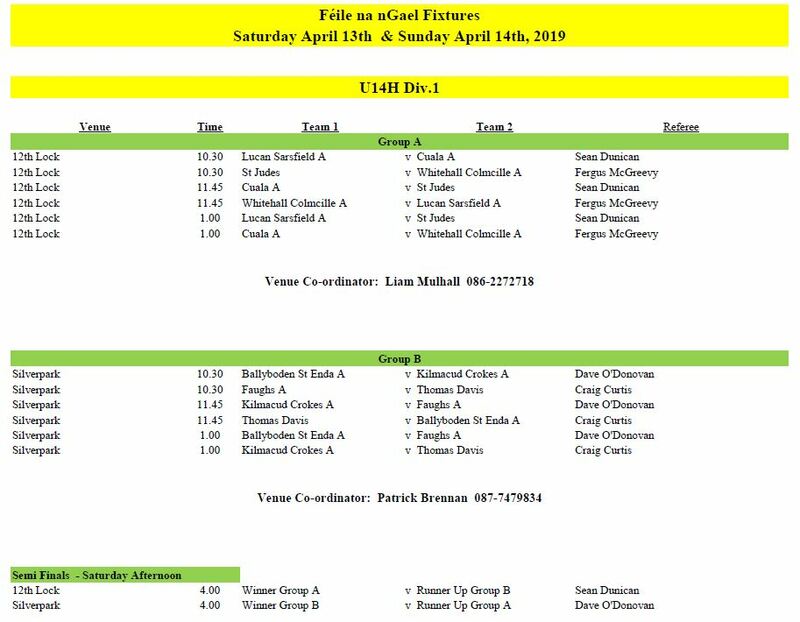 Hurling Feile takes place on weekend of April 13 and 14. We have teams competing in both Division 1 and Division 6. Good luck to players and mentors. Have fun. Group A: Lucan, Cuala, Judes, Whitehall. 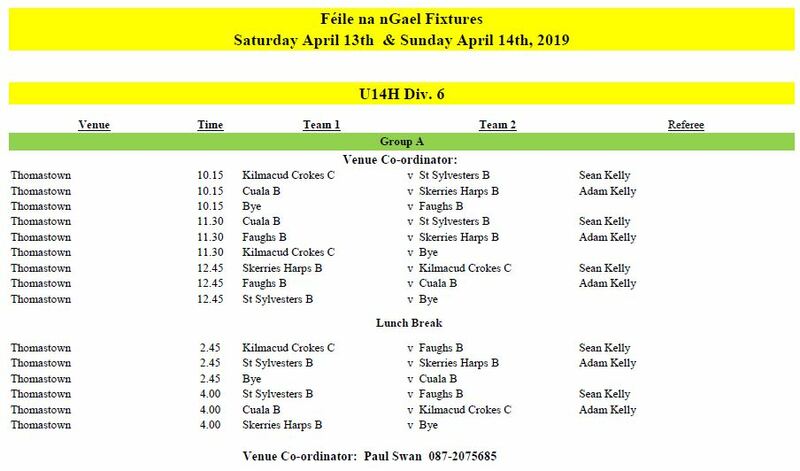 Group B: Nh Fionnbarra, Peregrines, St Annes, Trinity Gaels, Nh Olaf.